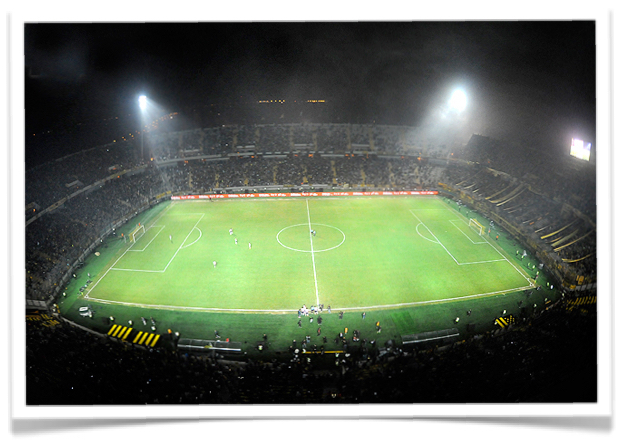 With over 124 years of glories and one of the world’s largest fanbase, Club Atlético Peñarol will be showcasing their stadium, “Campeón del Siglo” during TheStadiumBusiness Summit (31 May – 2 June). The stadium was formally inaugurated in March 2016 with two world-class events that included both an artistic and music show that went through the club’s famous history using 3D mapping, as well as a match with Argentinian club River Plate. Campeón el Siglo stadium is considered a unique concept in Uruguay mainly because of its multi-purpose building design, capable to provide world-class services for up to 40,000 fans, whether they are enjoying a music show or a sports event. The stadium was built in a record time of two years with a mixed funding investment of USD40 million. Club Atletico Peñarol were able to carry out the project thanks to their partnership with the real estate company Saceem, while Luis Rodriguez Tellado headed up the architectural design and Enrique Bañales was in charge of the interior design. The team worked under the directions of Peñarol’s Managing Board and the Trust Fund managed by CPA-Ferrere firm. The result was a modern arena with a 105m x 68m pitch with four stands, multi-purpose catering zones, a press conference room able to host up-to seventy journalists, first aid facilities, disabled access, a museum, conference rooms, 205 boxes (family, corporate and VIP), social areas and over 3,000 parking spaces. The stadium has been equipped with first generation technology, by having smart cards access control systems, IMPLY full color HD screen, a theatre effects lightning system by General Electric and a D.A.S. professional audio system. The stadium is a tribute to the club’s fans, therefore, the name was chosen by them through a voting campaign that was prepared by the club’s webpage. The campaign’s slogan was “I call you..” and the fans were encouraged to complete the slogan, resulting in “Campeón del Siglo” (Champion of the Century) which now has its own logo too. This project represents a kick-off for the evolution of the stadium industry in Uruguay and sets a new precedent that boasts the professionalisation and management of arenas in South America. The Management Board of Peñarol recognises the importance and relevance of the globalisation of sports business practices. Therefore, Alvaro Alonso, Managing Director and Pablo Nieto Moreno, Commercial and Marketing Director for Club Atlético Peñarol will be joining us at TheStadiumBusiness Summit to share their experience and bring back best practices from the global stadium industry in order to improve the experience of visiting their stadium. Grab your last minute ticket to join us in sunny Madrid!